Manchester United are reportedly on alert for the potential summer transfer of Paris Saint-Germain striker Edinson Cavani as he looks to leave his current club. The Uruguay international has had another fine season in front of goal for PSG, further establishing himself as one of the top centre-forwards in the European game right now. 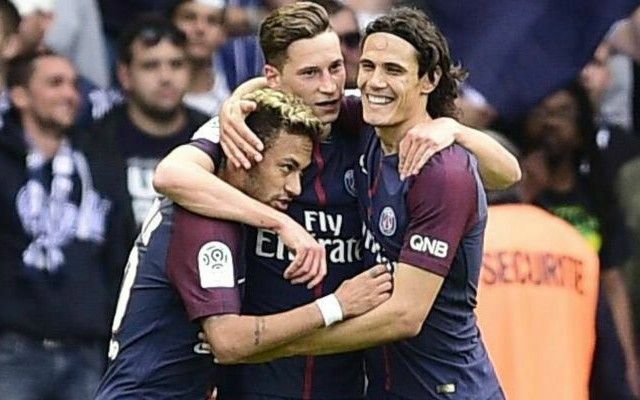 However, the season has not been without its problems and Le Parisien claim Cavani is unsettled at the club and has increasingly considered his future since the arrival of Neymar last summer, with whom he’s had tension. Furthermore, the Metro add that this has alerted both Manchester United and Chelsea to Cavani’s availability in a possible £53million deal. Both sides look like they could do with additions up front after slightly indifferent seasons in the Premier League, with neither really coming close to challenging Manchester City for the title. This is despite the two clubs spending big on Romelu Lukaku and Alvaro Morata in the summer, while United also added Alexis Sanchez to their attack in January. Cavani, 31, looks ideal to lead the line for a Jose Mourinho side, sharing many characteristics with the likes of Didier Drogba and Zlatan Ibrahimovic – two of the finest central strikers to play under the Portuguese. Tall, strong and lethal in front of goal, the South American should have no trouble settling in in the Premier League, and would give United the option to rotate with Lukaku more next season as Ibrahimovic nears the end of his contract.